This post has expired! It was posted more than 633 days ago. Would you like to support the development of future residential sustainable energy products? This will be possible in this international project entitled “Co-Evolution of Smart Energy Products and Services”. In this project we will evaluate how residential smart grid systems can be more responsive to the demands of various stakeholders in terms of performance, costs, reliability, durability and comfort. 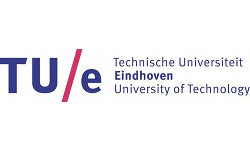 Therefore this project focuses on interdisciplinary research on local production of sustainable electricity, e-mobility, energy behaviour of users and forecasting techniques in the Netherlands and Austria. We will look into various existing and new smart grid pilots in these two countries. The existing pilots are typically residential smart grid pilots. The novel demonstration projects happen to be in the field of e-vehicles and their charging by solar power, fuel cells and existing means from the grid. The project is coordinated by the University of Twente and comprises an international collaboration with TU Delft, Wageningen University, Utrecht University, DNV GL, eseai, TU Graz and Austrian Institute of Technology. The project is funded through the ERA-Net Plus Smart Grids framework of the Horizon2020 program of the European Commission. The postdoc’s research will involve analyses of the performance of existing smart grid pilots and design-driven research on smart energy products and services. The research will focus on the evaluation of monitoring data of several smart grid pilots in the Netherlands using simulation tools. This will happen in close collaboration with other researchers in this project. The results will be used to map actual experiences with and the performance of existing smart grid pilots and to set guidelines for the good design of smart energy products and services for future smart grid projects. We are looking for a researcher with a PhD degree in the fields of design engineering or related disciplines. The candidate should be motivated and enthusiastic by working in a multidisciplinary environment and field research. We are looking for a candidate with proven experience with experimental research comprising data monitoring, analysis and simulation. We ask for good written and spoken English, and preferably also Dutch, language skills. Because of the international collaboration willingness to travel for project activities is required. This postdoc position will be based at the Department of Design, Production and Management of the Faculty of Engineering Technology (CTW) of the University of Twente, more specifically at the newly established energy center ARISE. For more information about this vacancy you can contact dr. Angèle Reinders, telephone +31 534893681 or email: a.h.m.e.reinders utwente.nl. More information about the department is available at www.utwente.nl/ctw/arise and www.utwente.nl/ctw/opm. Please send your application, with a curriculum vitae, transcript (list with grades of courses attended), references and a list of publications before September 1, 2017 through the link below. You can upload a maximum of 3 documents. We offer a very challenging fulltime position for 1 and a half year in an inspiring multidisciplinary and international environment. You will be working in a team of researchers in the Netherlands and Austria involving travel for the project and possibilities for temporary exchange with Austrian parties. 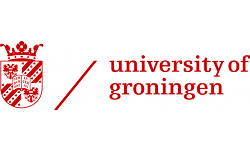 In accordance with the Collective Labour Agreement for Dutch Universities the gross monthly salary will range from € 3.111,- to € 4.084,- and will depend on experience and qualifications. Additionally, the University of Twente provides excellent facilities for professional and personal development, a holiday allowance and an end-of-year bonus, and a number of additional benefits.